Featuring a commanding design complete with riveted iron details, soft white beeswax candle cover and a weathered wood finish, the Lorraine 1-Light Sconce is perfectly suited to your ranch home. 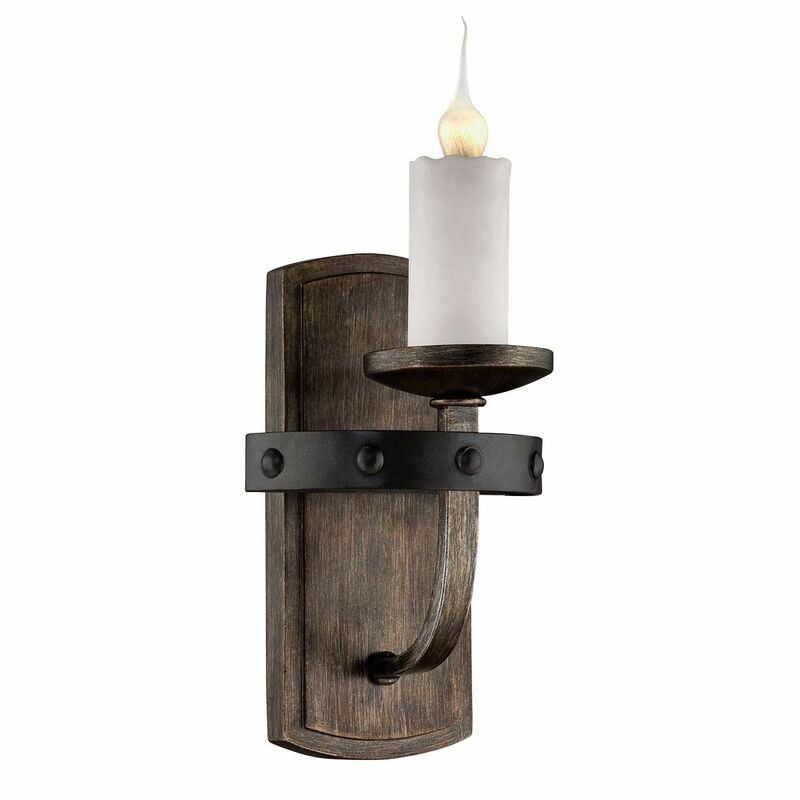 These rustic wall sconces ship from the manufacturer. Allow 1 week. Cannot express ship. For many more products, we invite you to take the time to browse our entire assortment of rustic wall sconces at Lone Star Western Decor today.